As Irene passed and the winds and rain died down, I noticed something strange on Twitter. Some people were saying that Irene was all hype and a Fail. I couldn’t disagree more. No, Irene wasn’t as destructive as she could have been. If anything, though, that’s a win, not a fail. If Irene fails to kill more people or destroy more property, we win, we don’t fail. Besides, I’d rather the government err on the side of saving lives instead of doing nothing. 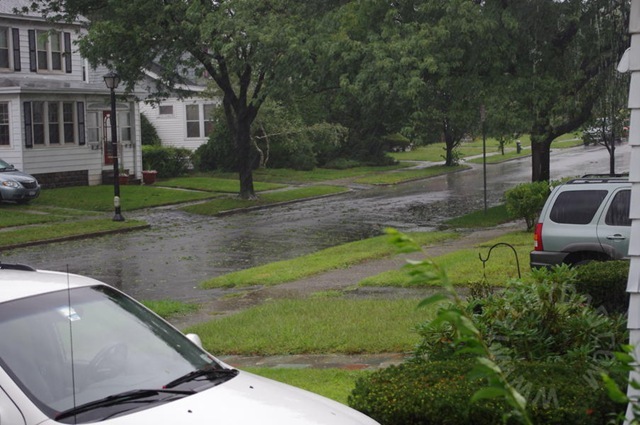 Had government officials said “Irene’s all hype, don’t evacuate” and people died thanks to flooding in low-lying areas, people would have been criticizing them for Katrina-like inaction. Besides, it’s not like Irene was without consequence. Thousands lost power. Many areas flooded. Some people were even killed. On a much less serious note, Irene forced us to cancel our plans. We were going to leave the kids with my parents and then go to Disney World to celebrate our 10th anniversary. The vacation was all planned out. We had restaurants we were going to try (that we normally wouldn’t go to with the boys). We had also purchased Hidden Mickeys: A Field Guide to Walt Disney World’s Best Kept Secrets and planned on going on some hidden Mickey scavenger hunts. With Irene bearing down on our house and my parents’ house, and flooding and power loss (not to mention house damage) a real possibility, we decided to cancel the trip. We didn’t want to be stuck at home, unable to go on the trip, and lose out on all the money we had paid. We got refunds, but we’re still extremely disappointed that we didn’t get to go on our romantic Disney trip. 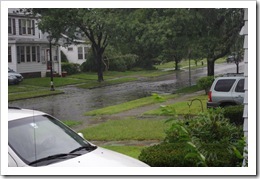 It’s not downed trees or extreme flooding, but Irene had an large affect on our lives. I couldn’t agree with you more – I live in TX, but Irene was HUGE … I was so glad that the East Coast was OVER prepared, not under. I am so sorry you had to cancel your anniversary celebration. That being said, HAPPY 10TH ANNIVERSARY!!! !